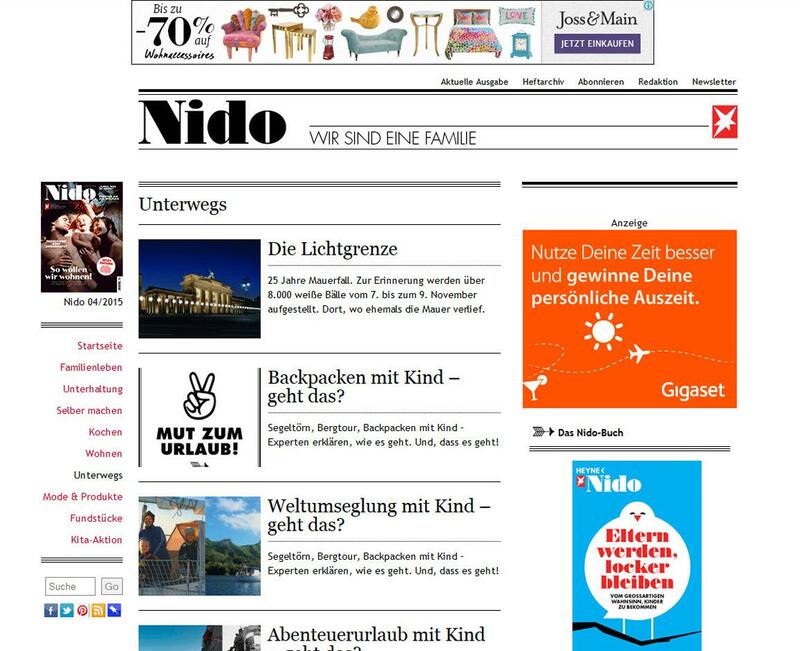 NIDO.de is NIDO for every day: a modern, stylistically assured blog in which the NIDO editorial office selects the latest reliable, interesting, helpful and entertaining items from the flood of day-to-day information. 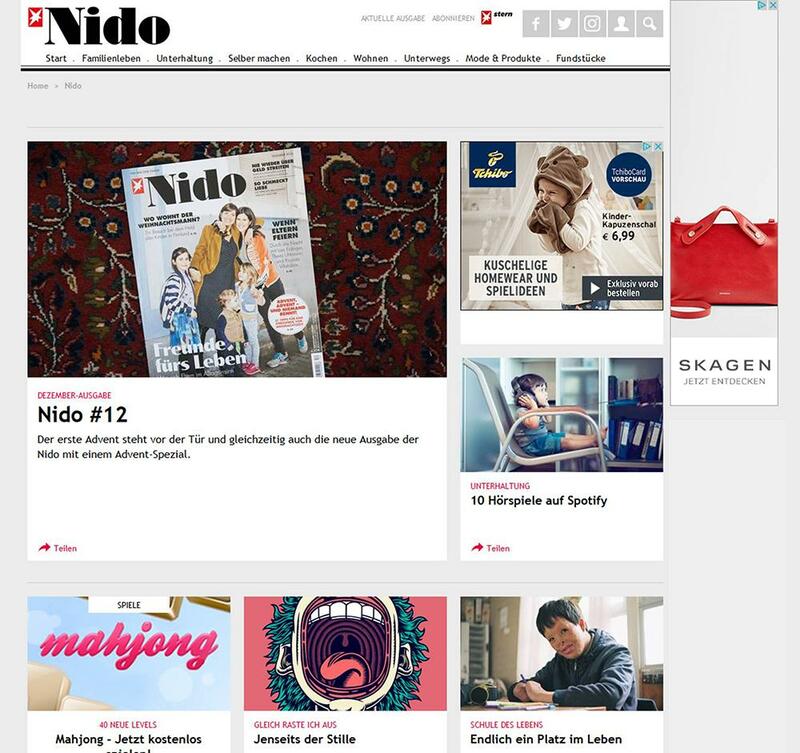 That is why you will find great products on the NIDO.de site, original DIY ideas and other little gems from the internet, as well as interesting tips and topics from our editorial office. 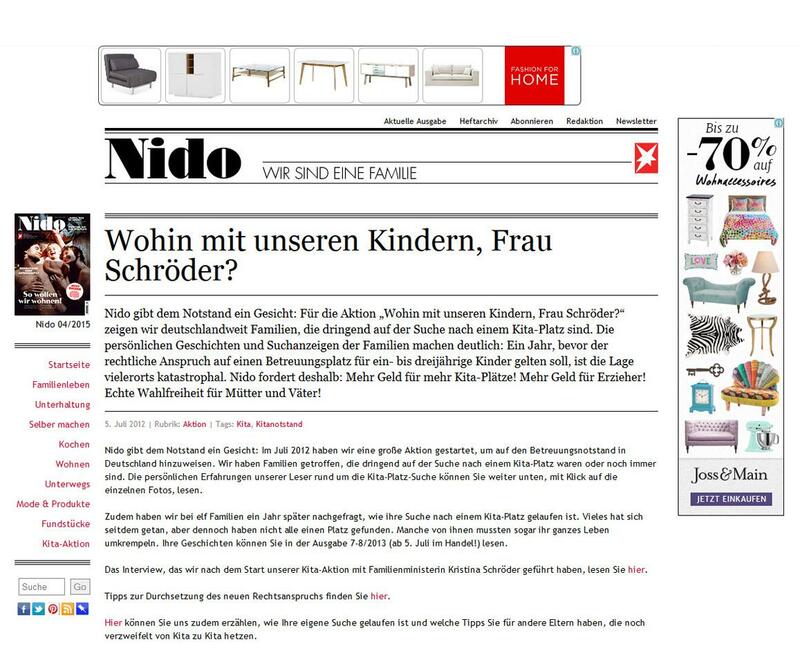 NIDO.de therefore provides appealing and helpful company for young parents in their everyday routine. 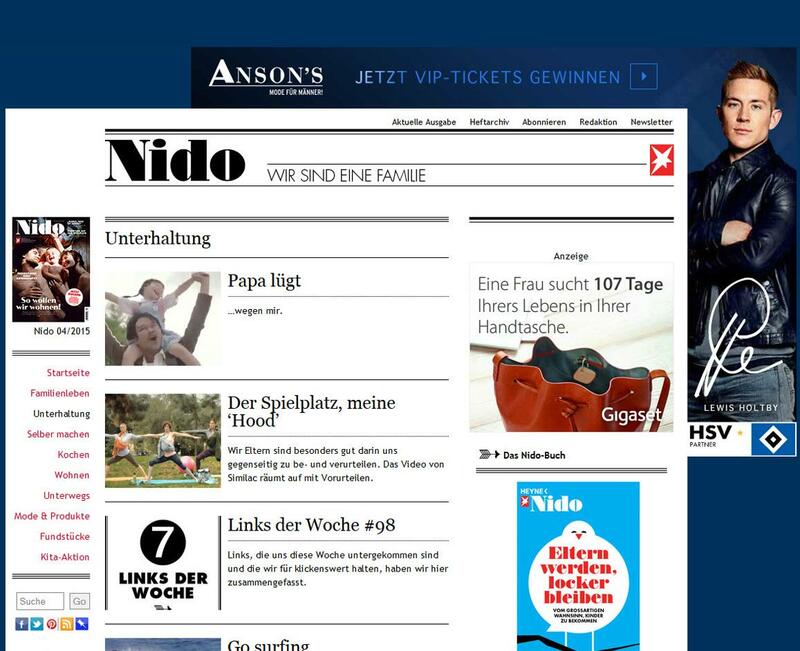 However, NIDO.de users are not just readers, but also post comments on their own experiences, tips and feelings.